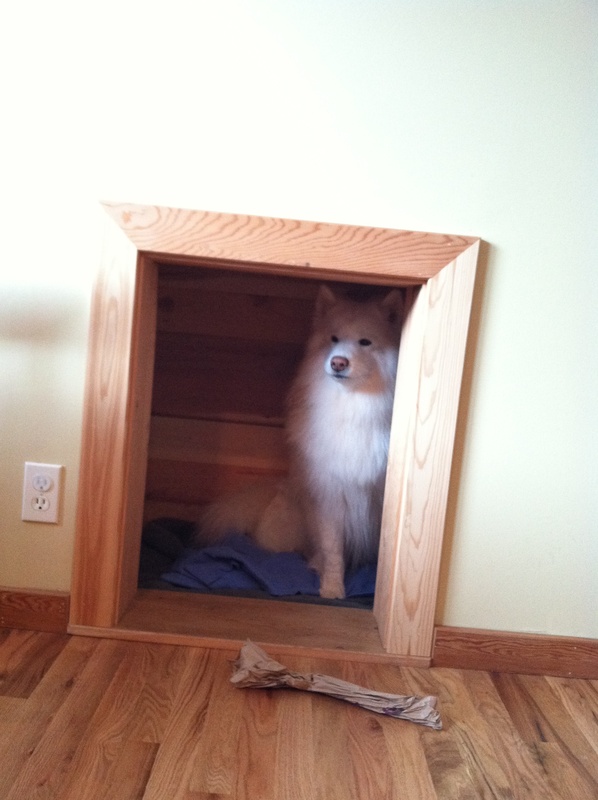 Zeke, a 9 year old Samoyed, resides in Bozeman, Montana. Up until recently Zeke’s crate was in the kitchen. 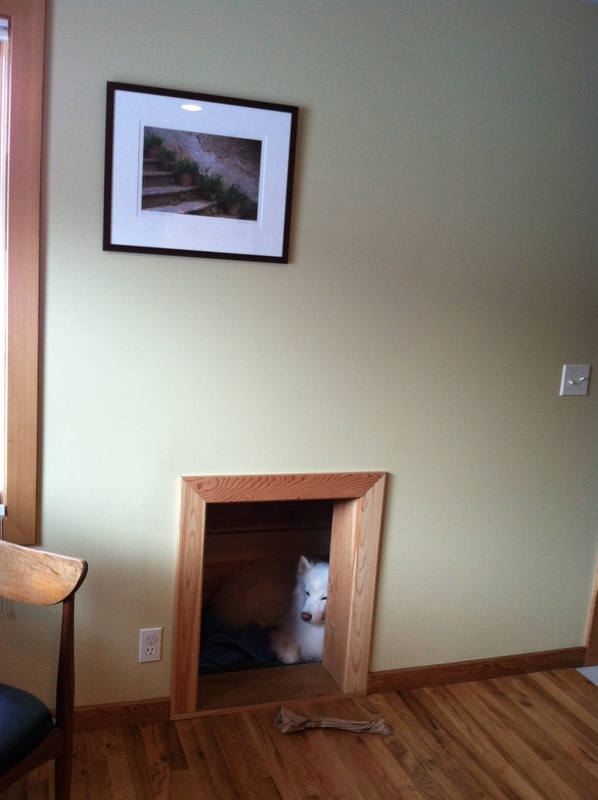 When his humans decided to renovate the kitchen the crate seemed out of place and in the way. So they asked their contractor to come up with a clever solution and Zeke’s “hole in the wall” was created. It’s a crate-sized room projecting into unused space in the garage. The interior is lined with cedar. Zeke took to his new den immediately and now his old crate is history. Depending on your dog, the addition of a well ventilated crate door could make this a suitable crate alternative. If you have any dog related design ideas or projects you would like to share with me I am going to start a new page in the menu entitled “Design Dog Files”. Soon you will be able to submit them through this site. In the meantime send me a comment with a description of the project. 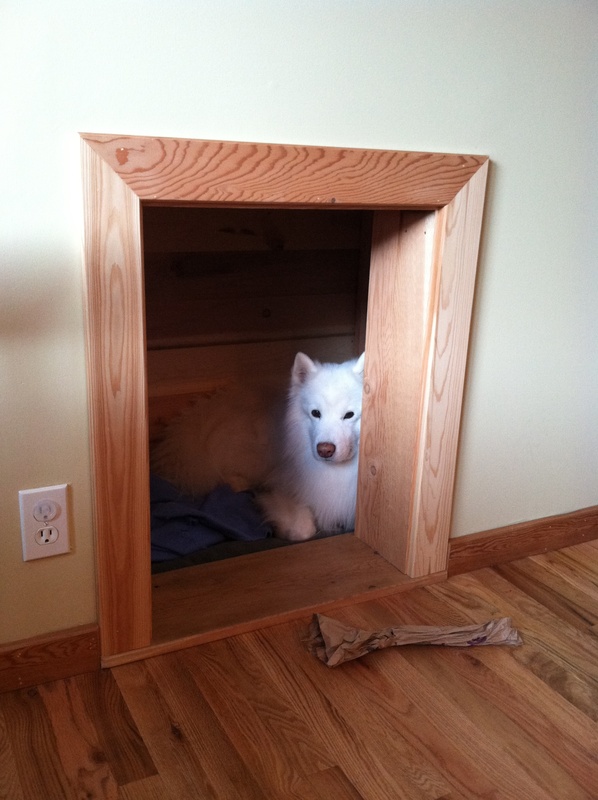 This entry was posted in Design Ideas and Projects and tagged clever solution, design, Dog, dog crate, hole in the wall, home design, interior design, Samoyed, unused space. Bookmark the permalink.